Despite Hurricanes Harvey and Irma, the latest unemployment rates have remained below the 5% mark that President Barack Obama achieved. The unemployment rates across the US have been dipping constantly with occasional minute spikes. In a recent report released by the U.S. Bureau of Labor Statistics (BLS), it showed a 0.2% drop in the unemployment rates for September, bringing it to 4.2%. Despite a decline of 33,000 non-farm jobs, the total number of people unemployed has dropped by 331,000 to 6.8 million. There has been an improvement in the total number and the rate of decline of unemployed persons when compared to the year-over-year improvements. In the foodservice sector, BLS researchers notice a fall in employment that has been factored by Hurricanes Irma and Harvey. The sector alone has contributed towards adding an average of 24,000 job opportunities every month. The overall unemployment rate for September was expected to not be a pretty picture. However, the BLS report further added that the overview for the month looked positive with an increase of 0.3% in the ratio of population-to-unemployment, bringing it to 60.4%. The current labor force participation rate of 63.1% has continued the year-long trend showing a small improvement. 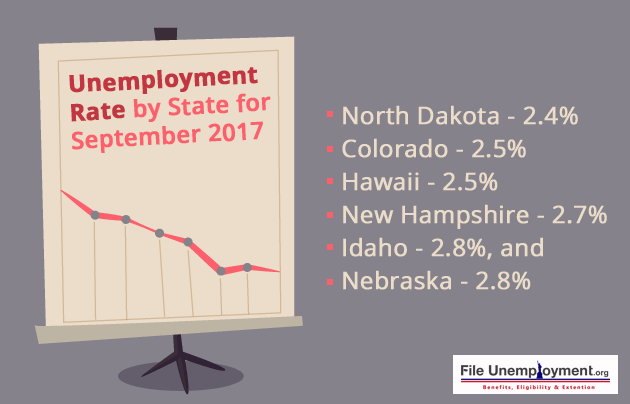 The report also contained additional information about the employment situation for September 2017. If you are among the population who is currently unemployed and you are searching for jobs, we hope to have given you answers to all your questions on the unemployment situation. In case you have more questions, you can visit our Community Forums to get instant answers to your queries. Interact with people in the same situation as well experts in the field and clear your head from the questions.